As the city’s population grew from 300,000 in 1900 to 1.6 million in 1930, the Detroit School Board built many new buildings to serve their booming enrollment. Fortunately, they had the funds to erect large but architecturally significant schools. And they had the monies to purchase spacious campuses for many of them. The William Malcomson–William Higginbotham architectural firm had an exclusive contract with the School Board for much of this period. They were exceptionally competent designers, so in Detroit today you find some of the most attractive schools built in the United States a century ago. The school you see is an example. The website of the City of Detroit’s Historic District Commission describes this style as Jacobethan. Many schools built at this time were named after significant figures in the city. Sidney Miller held a number of significant positions in Detroit, including head of the school board, commissioner of police and health commissioner. This school opened in the early 1920s to serve the largely white population of this area. Through the Civil Wars years, Detroit officially segregated its few black students from white students. Black parents litigated that and, in 1870, Michigan’s Supreme Court ruled that the state’s constitution, as amended in the Reconstruction Era, prohibited the formal segregation of public school students by race. However, testimony presented in the Milliken v. Bradley litigation about Detroit school segregation in the early 1970s revealed that the School Board consistently and effectively adopted policies that minimized the number of white students that attended school with blacks. To be sure there was no de jure segregation, some African American students attended school with white classmates, but many School Board policies sought to maintain a thoroughly Jim Crow system of elementary and secondary education. The black population of Detroit’s near East Side grew rapidly after World War II as southern migrants moved north in great numbers to take jobs in the expanding vehicle industry. By the early 1930s, white parents in this area protested that their children were attending high school with too many black students. 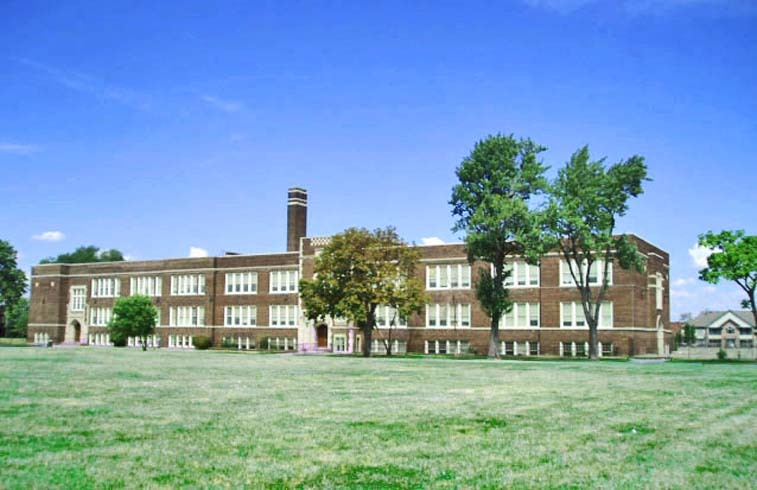 In 1933, the School Board unofficially designed Sidney Miller as an African-American high school. White parents living in its catchment area were free to enroll their children in largely white Eastern High School to avoid the black school. From 1933 until 1957, Sidney Miller served as the city’s primary black secondary school. To be sure, quite a few black students attended largely white schools, but a substantial proportion of the African Americans who earned high school diplomas in Detroit in the 1930s, 1940s and 1950s were Miller graduates. After 1957, Miller served as a Middle School. In the late 1990s, the Detroit School Board began spending the proceeds of $1.5 billion in capital improvement bonds. New schools, including Cass Tech, Renaissance High and the School for the Performing Arts, were built and old ones remodeled. However, no funds were allocated for the renovation of Sidney Miller. Declining enrollments led the Detroit School Board to announce the closing of 38 schools at the end of the 2006-2007 academic year. The Sidney Miller alumni group unsuccessfully protested the closing of this school. If the demand for condos near downtown Detroit continues to increase, it is possible this architecturally attractive building will be converted into residences, just as the nearby Nellie Leland School was.